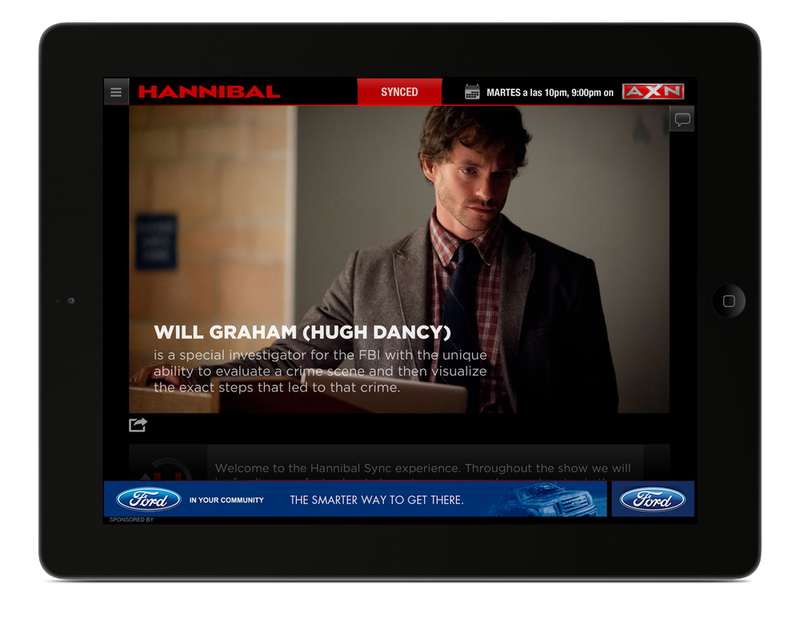 Open your app and click, “sync” while watching HANNIBAL on AXN and go deeper into the story. 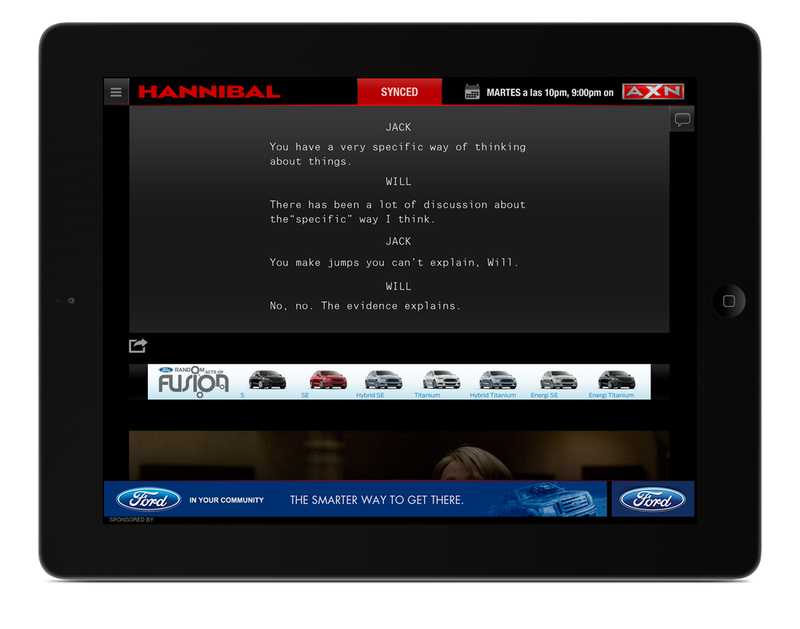 As the app listens you receive episode-specific real world facts; production notes and HANNIBAL related trivia in your sync stream. In real time. As you watch. 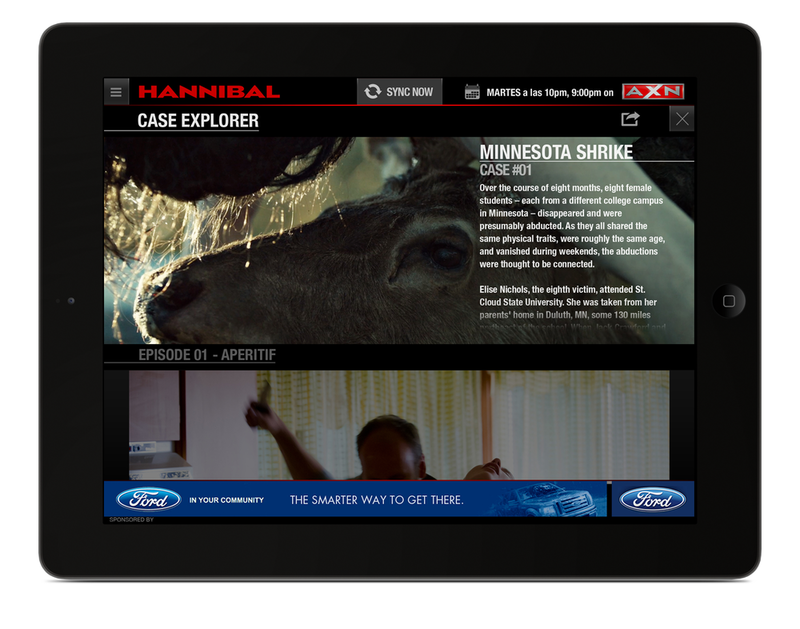 The HANNIBAL Second Screen free App synced to episodes of the HANNIBAL broadcast on the AXN Pay-TV network in 7 international regions and in 7 languages using Audio Content Recognition (ACR) watermarking. 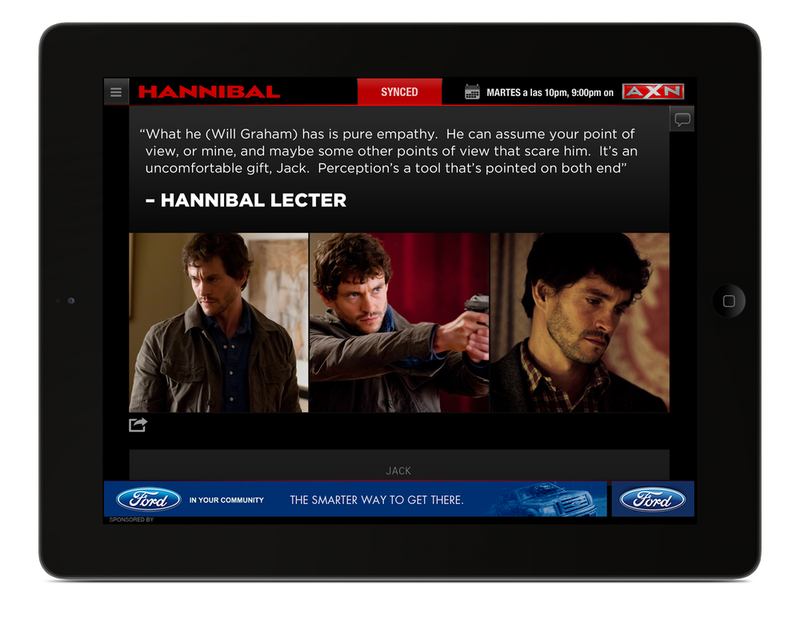 This allowed users to have an enhanced viewing experience when watching HANNIBAL on AXN, on the DVR, or online. 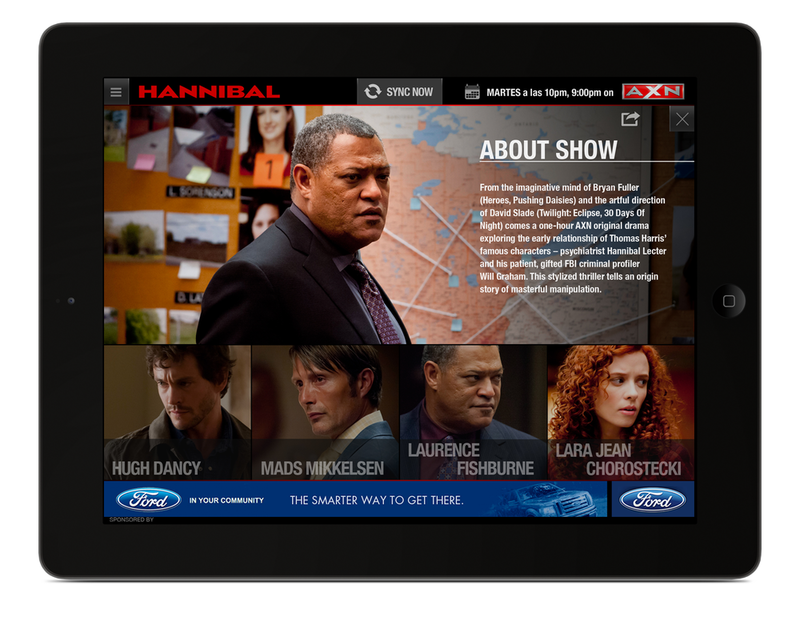 Throughout Season 1 viewers were given access to exclusive original content like Trivia, a look behind the scenes, episode details, the Twitter social stream, sneak peek videos, and an interactive “Character Explorer” that helped users keep track of all the characters and their relationships. 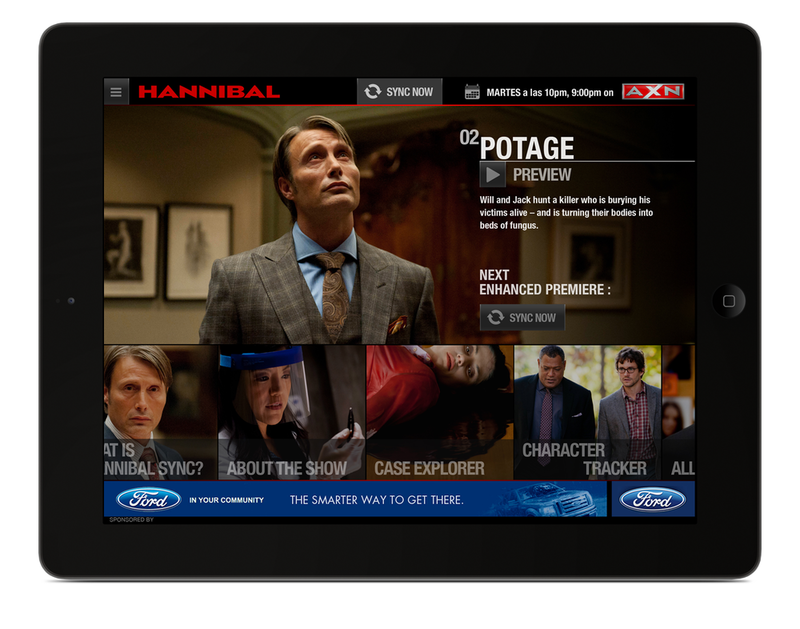 In addition to a unique viewing experience, the app provided international English as a second language viewers more clarification on the nuanced storytelling that was critical to the season story line. 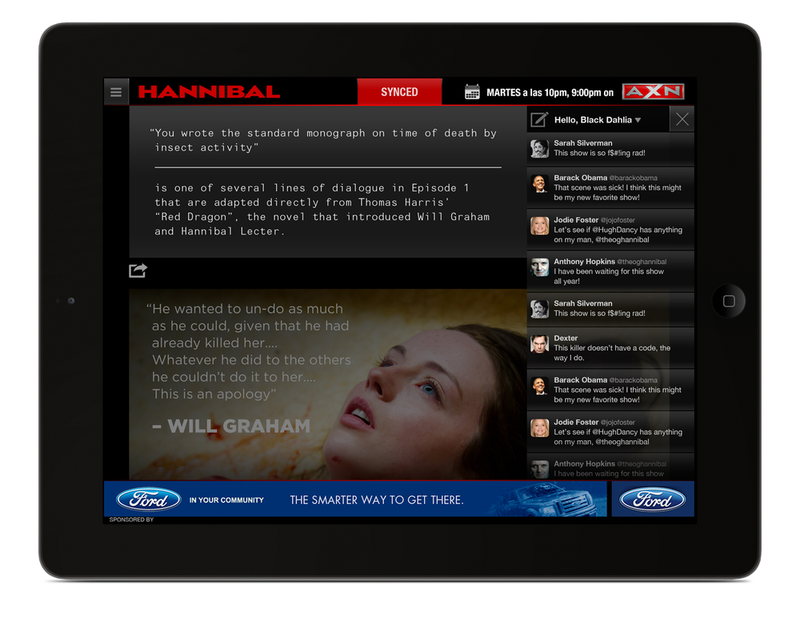 The HANNIBAL sync app was released for iPhone, iPad, and Android devices in India, Pan-Asia, Spain, Portugal, Brasil, Latin America, and Taiwan.